Clover Honey: Strongest Antibacterial Activity against E-Coli & Staphylococcus A. 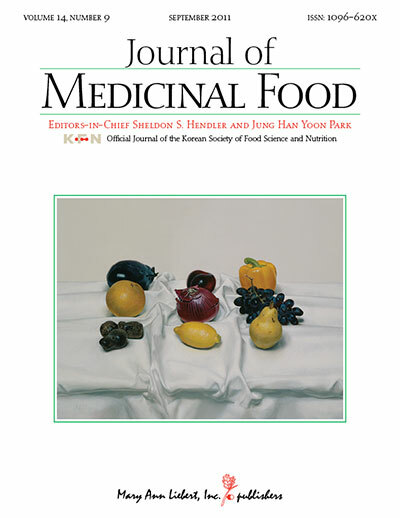 Commonly consumed honeys from sixteen different single floral sources were analyzed for their in vitro antioxidant capacities by several methods including DPPH, ABTS, FRAP, SASR and MDA assays. The total polyphenol contents varied among the tested honeys and were highly correlated to their antioxidant capacity values. The antioxidant capacity of Chinese milk vetch flower honeys was significantly higher than those of other flower honeys. All honeys tested were active in inhibiting the browning of apple homogenate and linden honey displayed the highest inhibition rate as 85%. 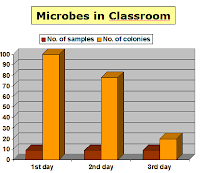 When the antimicrobial activity of the investigated honeys was screened using Gram-positive bacteria (Staphylococcus aureus) and Gram-negative bacteria (Escherichia coli), clover honey exhibited the strongest antibacterial activity as 2.2 mg mL−1 kanamycin equivalent inhibition. Propolis is a resinous substance collected by honeybees from leaf buds and cracks in the bark of various plants. Propolis has been reported to have immunomodulatory activity. We hypothesized that propolis would be able to reduce the disease severity of rheumatoid arthritis. We evaluated the effect of Brazilian propolis ethanolic extract on the pathogenesis of collagen-induced arthritis (CIA) in mice. Mice fed propolis exhibited significant lower clinical arthritis scores than those fed the control diet. To investigate the mechanism of the effect of propolis on CIA mice, we examined interleukin-17 (IL-17) production in CIA mice fed propolis using an enzyme-linked immunospot assay and flow cytometric analysis. The numbers of IL-17-producing cells in the CIA mice fed propolis were significantly decreased. To determine direct influence of propolis on cytokine production, splenocytes were stimulated with phorbol myristate acetate in the presence of propolis extract in vitro. Concentration-dependent declines in IL-17 expression were observed by ELISA and real-time PCR methods. We further found that propolis significantly inhibited the differentiation of Th17 cells from murine splenocytes in a concentration-dependent manner. Taken together, our results may provide a new light on the potential mechanism of the immunosuppressive and anti-inflammatory effects of propolis. Pollen is characterised for having a low fat content, a relatively high content of dietary fibre and an important amount of minerals and essential amino acids. With regard to bioactive compounds, honeybee-collected pollen exhibits an important source of phytochemical compounds and antioxidant activity. The purpose of this research was to study how the nutritional properties and the stability of the bioactive compounds found in honeybee-collected pollen were affected by the commercial processing and its floral origin. To achieve this goal, pollen pellets of different floral origin were harvested directly from hives and immediately stored at −80 °C. Pollen pellets were dried by placing them into hot-air chambers (traditional drying methodology) or by means of freeze-drying. We found a slight influence of floral origin on the nutritional properties of pollen pellets (multifloral pollen had higher contents of fat, carbohydrates, proteins and mineral elements than monofloral-type pollen), whereas the abundance of bioactive compounds was correlated with the origin factor as well as the methodology employed to dry the fresh pollen pellets, especially carotenoid pigments such as lutein (5.73 ± 1.80, 4.93 ± 1.16 and 0.81 ± 0.16 μg of lutein per g of pollen for fresh, lyophilised and hot-air-dried multifloral pollen). Holistic health care providers recommend using preventative measures to avoid the onset of serious health conditions. Taking prescription medication with the negative side effects is all too common, as well as, the increasing onset of antibiotic resistance. It's also important to keep in mind environmental influences in the home and office. Eliminating things such as mold, bacteria and pollution which also have effects on our health should be non-toxic or "green". Finding a natural approach to boosting the immune system and managing our health and environment is the best approach. One such product gaining global notoriety is Propolis. 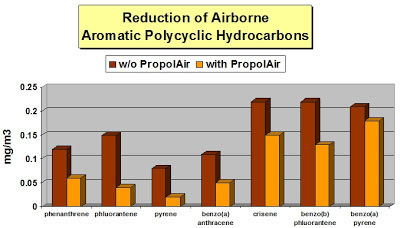 As Propolis is also very effective for respiratory conditions, an Italian inventor and beekeeper designed and patented an electrical diffuser, Propolair, to vaporize these important flavonoids into the air, employing a holistic approach to treating environmental factors. In 1995, he, with the aid of researchers at the Italian Ministry of Health ("Biologi Italiani n°2/96"), conducted several studies in schools and found that propolis vaporizers reduced airborne bacteria by 71.8%. In separate studies in Milan, as a result of having diffusers in nurseries and preschools, ("Assoc. 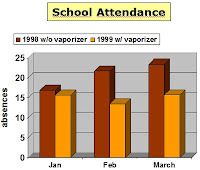 Casa Materna Milano, 5/99") researchers discovered school attendance increased up to 61% without any allergic reactions reported. In 2003, additional studies conducted by the Chemical Laboratory of the Chamber of Commerce in Turin ("Lab Chimico 12/03"), researchers found that when propolis is vaporized and diffused, it reduced the presence of numerous air pollutants from 15% - 70% reduction of benzenes and hydrocarbons. 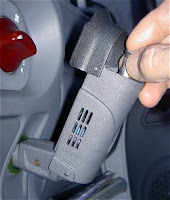 For this reason, the inventor also created a vaporizer for cars, trucks, buses and vans. As stated by noted physician, Dr. Dietrich Klinghardt, M.D. For more information, see the video or visit the website. a peer-reviewed article from the Journal of Medicinal Food... did someone say medicine in a jar? Honey has been used as a medicine throughout the ages and has recently been reintroduced to modern medical practice. Much of the research to date has addressed honey's antibacterial properties and its effects on wound healing. Laboratory studies and clinical trials have shown that honey is an effective broad-spectrum antibacterial agent. Honey antimicrobial action explains the external and internal uses of honey. Honey has been used to treat adult and neonatal postoperative infection, burns, necrotizing fasciitis, infected and nonhealing wounds and ulcers, boils, pilonidal sinus, venous ulcers, and diabetic foot ulcers. These effects are ascribed to honey's antibacterial action, which is due to acidity, hydrogen peroxide content, osmotic effect, nutritional and antioxidants content, stimulation of immunity, and to unidentified compounds. When ingested, honey also promotes healing and shows antibacterial action by decreasing prostaglandin levels, elevating nitric oxide levels, and exerting prebiotic effects. These factors play a major role in controlling inflammation and promoting microbial control and healing processes. This article reviews data supporting the effectiveness of natural honey in eradicating human pathogens and discusses the mechanism of actions. Is there anything from honey bees that isn't good?!?!?! Melittin is a cationic, hemolytic peptide that is the main toxic component in the venom of the honey bee (Apis mellifera). Melittin has multiple effects, including anti-bacterial, anti-viral and anti-inflammatory, in various cell types. However, the anti-apoptotic mechanisms of melittin have not been fully elucidated in hepatocytes. Apoptosis contributes to liver inflammation and fibrosis. Knowledge of the apoptotic mechanisms is important to develop new and effective therapies for treatment of cirrhosis, portal hypertension, liver cancer, and other liver diseases. In the present study, we investigated the anti-apoptotic effect of melittin on transforming growth factor (TGF)-β1-induced apoptosis in hepatocytes. TGF-β1-treated hepatocytes were exposed to low doses (0.5 and 1 μg/mL) and high dose (2 μg/mL) of melittin. The low doses significantly protected these cells from DNA damage in TGF-β1-induced apoptosis compared to the high dose. Also, melittin suppressed TGF-β1-induced apoptotic activation of the Bcl-2 family and caspase family of proteins, which resulted in the inhibition of poly–ADP–ribose polymerase (PARP) cleavage. These results demonstrate that TGF-β1 induces hepatocyte apoptosis and that an optimal dose of melittin exerts anti-apoptotic effects against TGF-β1-induced injury to hepatocytes via the mitochondrial pathway. These results suggest that an optimal dose of melittin can serve to protect cells against TGF-β1-mediated injury. ► We investigated the anti-apoptotic effect of melittin on TGF-β1-induced apoptosis in hepatocytes. ► TGF-β1 induces hepatocyte apoptosis. ► TGF-β1-treated hepatocytes were exposed to low doses (0.5 and 1 μg/mL) and high dose (2 μg/mL) of melittin. ► An optimal dose of melittin exerts anti-apoptotic effects to hepatocytes via the mitochondrial pathway. Propolis, the proven protector against bacteria, mold, viruses, cancer and inflammation, now adds neurprotection to its list --- WOW!! 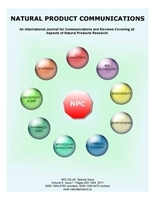 "The present work describes the protective effects of the crude Northeast Portuguese propolis enriched phenolic extract against staurosporine (STS) and hydrogen peroxide (H2O2)-induced neurotoxicity. These two stress inducers act through various pathways, including the production of reactive oxygen species (ROS) and the induction of apoptosis through caspases activation. STS (25 and 50 nM) and H2O2 (100 μM) increased intracellular ROS and diminished cellular reducing ability in cultured cortical neurons, under conditions unrelated with massive loss of plasma membrane integrity, suggesting decreased neuronal function. Moreover, 25 nM STS and 100 μM H2O2 increased caspase-3 activity by about 2.8-fold and 4.6-fold, respectively. Pre-treatment of cortical neurons with the ethanolic extract of propolis (EEP) in the range of 0.01 to 1 μg/ml showed no protective effect on cell reducing capacity, but decreased H2O2-stimulated increment in ROS production by about 17%. In addition, the EEP attenuated STS- or H2O2- induced activation of caspase-3 by 23-39%. ► The Northeast Portuguese propolis phenolic extract is neuroprotective. 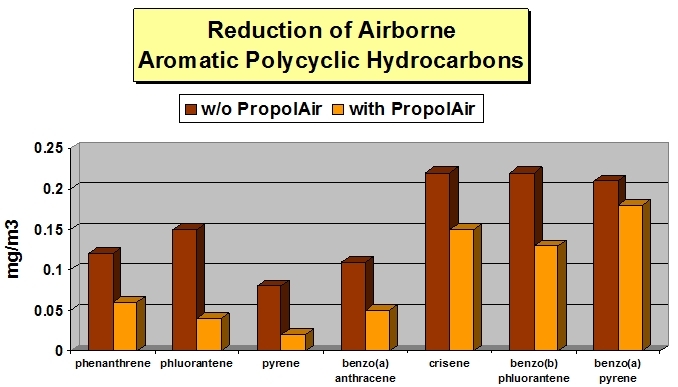 ► The propolis phenolic extract decreases H2O2-stimulated increment of ROS production. ► The propolis phenolic extract attenuates STS- and H2O2-induced activation of caspase-3. Overall, the results show moderate protective effects induced by Northeast Portuguese EEP in c subjected to stress stimuli." An important nursing review of a new superabsorbent dressing imbued with Manuka honey. In chronic wounds, exudate is believed to prolong the inflammatory phase and is detrimental to healing (Trengove et al, 1999; Vowden and Vowden, 2004). Poor exudate management can have important management cost implications, and may result in increased patient morbidity (White and Cutting, 2006). Accurate assessment of wound exudate is a key component of wound healing and management is achieved through different methods depending on the cause of the excessive exudate production. Superabsorbent dressings have been designed to treat highly exuding wounds; they have a greater fluid-handling capacity than traditional dressings and require changing less frequently (Tadej, 2009). This case study reports on the combined use of a superabsorbent dressing with an antibacterial dressing in a 102-year-old patient who presented with a painful infected venous ulcer complicated by some arterial disease. The combination of the superabsorbent KerraMax® (Crawford Healthcare) with the antibacterial honey Algivon® (Advancis Medical) created the ideal dressing for the treatment of this infected mixed aetiology ulcer, as manuka honey has a strong antibacterial effect (Molan, 1992), and the dressing absorbs the excessive exudate. The dressings worked together to reduce the bacterial load on the wound bed surface, with the honey selectively destroying the bacteria (Molan, 1992), and KerraMax absorbed and locked away the bacteria-containing exudate, which helped to reduce further exudate production, prevent maceration and reduce the potential for a wound to become malodorous (Hampton, 2011). One of the most important challenges in the study of aging is to discover compounds with longevity-promoting activities and to unravel their underlying mechanisms. Royal jelly (RJ) has been reported to possess diverse beneficial properties. Furthermore, protease-treated RJ (pRJ) has additional pharmacological activities. Exactly how RJ and pRJ exert these effects and which of their components are responsible for these effects are largely unknown. The evolutionarily conserved mechanisms that control longevity have been indicated. The purpose of the present study was to determine whether RJ and its related substances exert a lifespan-extending function in the nematode Caenorhabditis elegans and to gain insights into the active agents in RJ and their mechanism of action. We found that both RJ and pRJ extended the lifespan of C. elegans. The lifespan-extending activity of pRJ was enhanced by Octadecyl-silica column chromatography (pRJ-Fraction 5). pRJ-Fr.5 increased the animals' lifespan in part by acting through the FOXO transcription factor DAF-16, the activation of which is known to promote longevity in C. elegans by reducing insulin/IGF-1 signaling (IIS). pRJ-Fr.5 reduced the expression of ins-9, one of the insulin-like peptide genes. Moreover, pRJ-Fr.5 and reduced IIS shared some common features in terms of their effects on gene expression, such as the up-regulation of dod-3 and the down-regulation of dod-19, dao-4 and fkb-4. 10-Hydroxy-2-decenoic acid (10-HDA), which was present at high concentrations in pRJ-Fr.5, increased lifespan independently of DAF-16 activity. These results demonstrate that RJ and its related substances extend lifespan in C. elegans, suggesting that RJ may contain longevity-promoting factors. Further analysis and characterization of the lifespan-extending agents in RJ and pRJ may broaden our understanding of the gene network involved in longevity regulation in diverse species and may lead to the development of nutraceutical interventions in the aging process. Bee hives thrive in urban areas, ignoring politics. Good advice, eh? At least the White House honey bees are sticking with the president. Set in some of Washington's lushest gardens and tree groves, and right next to first lady Michelle Obama's veggie patch, the single South Lawn hive has produced a record 225 and a half pounds of honey this year, nearly double its first year production. "It's just craziness," says White House carpenter and bee keeper Charlie Brandts. "They did really well this year." While it's common for most hobby hives to produce about 60 pounds, or five gallons of honey, the White House hive has always been an over-producer, giving up 134 pounds the first year and 183 pounds the second. The reason is simple: there's tons of blooms offering the little bugs tasty nectar to bring back to the hive. "Urban colonies in a long season location, near lots of water and lots of ornamental plantings, with little competition and almost no pest pressure seem to do quite well," says Kim Flottum, editor of Bee Culture , the industry's magazine. The White House hive, he adds, "Is in honey bee heaven as far as location is concerned." Flottum says that having a bee hive on the South Lawn and a good spokesman for the hobby in Brandts has helped the hobby industry grow. When I told him that the White House considers Brandts a "hero" for his work with the bees, Flottum says, "You can add that U.S. beekeepers think he is too. His enthusiasm and dedication have help the image of beekeeping more than anyone can imagine." Brandts says that the bees made so much honey, that he had to take heavy honey-bound frames off the hive four times this summer. Typically, hobby bee keepers take honey frames off once or twice. He finally finished extracting all the liquid sugar last week. He said that the flavor is similar to past years, though there's less hint of basswood. At the White House, honey is bottled for gifts and used to make cookies, salad dressing, and beer. Pastry chef Bill Yosses has even jumped in to help Brandts tend to the bees. "They've really embraced honey," the bee keeper says of the first family and East Wing staff. In this paper we analyzed the antiprotozoal effects of eighteen Cuban propolis extracts (brown, red and yellow type) collected in different geographic areas, using Leishmania amazonensis (as a model of intracellular protozoa) and Trichomonas vaginalis (as a model of extracellular protozoa). All evaluated propolis extracts caused inhibitory effect on intracellular amastigotes of L. amazonensis. However, cytotoxicity on peritoneal macrophages from BALB/c mice was observed. Only five samples decreased the viability of T. vaginalis trophozoites at concentrations lower than 10 microg/mL. No correlation between the type of propolis and antiprotozoal activity was found. Purpose: To investigate the effect of topically applied honey on intact corneas, surgically induced corneal abrasions and endotoxin induced keratitis. Materials and Methods: The effect of honey on the cornea was investigated by application of honey on intact corneas, wounded corneas and endotoxin-induced keratitis in Lewis rats. The corneas were wounded by creating an epithelial defect using a surgical blade, and the keratitis was induced by topically applying Pseudomonas aeruginosa endotoxin to scarified corneas. After treatment rats were sacrificed and cornea harvested in each case. Corneas were processed for paraffin embedding for histological and immuno-fluorescence staining. Corneas were also harvested and processed for total ribonucleic acid (RNA) isolation for reverse transcriptase-polymerase chain reaction (RT-PCR) analysis for various growth factors and inflammatory chemokines/cytokines). Results: Histological analysis revealed that no inflammation or morphological changes occurred after honey treatment in naive intact corneas. Vascular endothelial growth factor (VEGF) levels were also not altered after honey treatment. Topical application of honey to injured corneas resulted in faster epithelial healing and decreased expression of VEGF, transforming growth factor beta (TGF-β), interferon gamma (IFN-γ), interleukin 12 (IL-12) and tumor necrosis factor alpha (TNF-α) in injured corneas. Our results also established that honey treatment reduced the inflammation in endotoxin-induced keratitis by reducing the levels of angiogenic factors (VEGF and TGF-β), inflammatory cytokines (IL-12) and chemokines (CC chemokine receptor 5(CCR-5)). Conclusion: Short term use of honey on intact corneas can be safe. Honey has anti-angiogenic and anti-inflammatory properties that can be explored in several corneal inflammatory and infectious conditions. Another plus from the powerhouse of protection - Propolis! Propolis is a complex resinous hive product, a mixture of wax, sugars and plant exudates collected by bees from plants sources. ,,, Its chemical and constituents composition depends on its floral origin, and varies according to climatic and geographical conditions. , Flavonoids and phenolic compounds appear to be the principal components responsible for the biological activities. By their antioxidant activity, flavonoids are able to attenuate the development of cancer and inflammatory diseases. Indeed, one of the most exciting recent findings about propolis is its efficacy in cancer prevention and treatment. , Propolis inhibits cancer cell growth by increasing the process of apoptosis by a pro-oxidant effect inducing apoptosis in human melanoma cells or by oxygen species production. In addition, propolis can prevent drug side-effects and reduce drug resistance. We evaluated the effects of propolis extract on renal oxidative stress induced by doxorubicin throughout an analytical and pharmacological study of the eastern Algerian propolis using thin layer chromatography, ultra-violet-high-performance liquid chromatography) and gas chromatography-mass spectrometry. Propolis extract (EEP) restored the renal functions and reduced the toxic effect of doxorubicin. These data show a protective effect of Algerian propolis extract (EEP) against doxorubicin-induced oxidative stress. A spoon of honey a day, keeps the doctor away! Honey, it's a natural antioxidant! INTRODUCTION: Honey is a common household product with many medicinal uses described in traditional medicine. Only recently has its antioxidant properties and preventive effects against disease been highlighted. Chrysin is a natural flavone commonly found in honey that has been shown to be an antioxidant agent. In this study, we investigated the antiproliferative and apoptotic effects of honey and chrysin on cultured human prostate cancer cells. 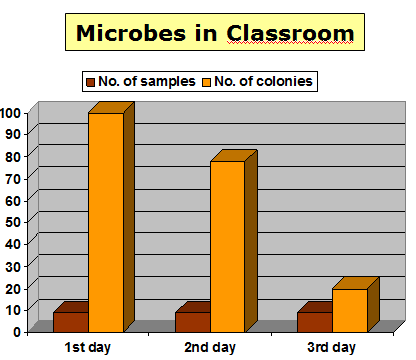 METHODS: Cells were cultured in RPMI medium and treated with different concentrations of honey and chrysin for three consecutive days. Cell viability was quantitated by the 3-(4, 5-Dimethylthiazol-2-yl)-2, 5-diphenyl tetrazolium bromide (MTT) assay. The percentage of apoptotic cells was determined by flow cytometry using Annexin V-fluorescein isothiocyanate. RESULTS: The MTT assay revealed that both compounds had an antiproliferative effect on PC-3 cells in a dose- and time-dependent manner. The IC50 values for honey and chrysin against PC-3 cells were 2.5% and 24.5% after 48 h and 1.8% and 8.5% after 72 h, respectively. Chrysin induced apoptosis in PC-3 cells, as determined by flow cytometry. CONCLUSION: Our results suggest that honey has anti-proliferative effects on prostate cancer cells and the effects are mainly due to chrysin. Therefore, chrysin may be a potential compound for both cancer prevention and treatment. Further in vivo investigation is needed to support the use of chrysin in cancer therapy. Symptoms of depression and anxiety appeared in mice after they had been subjected to a combination of forced swimming for 15 min followed by being kept in cages that were sequentially subjected to leaning, drenching, and rotation within 1-2 days for a total of 3 weeks. These results demonstrate that HDEA and RJ, a natural source of it, are effective in ameliorating the stress-inducible symptoms of depression and anxiety and suggest that they may become a promising tool as a new antidepressant. Two types of monofloral Malaysian honey (Gelam and Nenas) were analyzed to determine their antioxidant activities and total phenolic and flavonoid contents, with and without gamma irradiation. Our results showed that both types of honey can scavenge free radicals and exhibit high antioxidant-reducing power; however, Gelam honey exhibited higher antioxidant activity than Nenas honey, which is in good correlation with its phenolic contents. Interestingly, we also noted that both irradiated honeys have higher antioxidant activities and total phenolic and flavonoid contents compared to nonirradiated honeys by Folin-Ciocalteu and UV-spectrophotometry methods, respectively. However, HPLC analysis for phenolic compounds showed insignificant increase between irradiated and nonirradiated honeys. The phenolic compounds such as: caffeic acid, chlorogenic acid, ellagic acid, p- coumaric acid, quercetin and hesperetin as indicated by HPLC method were found to be higher in Gelam honey versus Nenas honey. In conclusion, irradiation of honey causes enhanced antioxidant activities and flavonoid compounds. An interesting product, to say the least, royal jelly is the food that turns regular bee larvae into queen bees - it's the substance that elevates the physical capabilities of certain bees to allow them to become leaders of their own hives. Secreted by the nurse bees that look after the larvae in a hive, royal jelly causes some of the baby bees to grow faster and stronger than the rest. Claims have been made that when consumed by humans royal jelly can act as a "brain food," providing the boost the brain needs to grow faster and more efficient. This claim is made because royal jelly contains a rare fatty acid, 10-HDA, that is said to enhance the cognitive capabilities of individuals. Due to a high concentration of phospholipids, people that consume royal jelly are able to improve their motor function, short-term memory, learning abilities, and overall awareness. Studies have shown that royal jelly has even been able to improve the conditions of individuals that suffer from Alzheimer's and Parkinson's diseases. The availability of a natural therapy for such illnesses is certainly important, as the market's current medications are laden with harsh chemicals that often provide serious side effects. * Efficient regeneration of tissue, especially that involving DNA. * Increase in the strength of white blood cells, which boosts the immune system. * Reduction of oxygen supplied to tumors, allowing the body to fight several types of cancer. * Regulations of blood sugar, which can improve the health of individuals with diabetes. * DHEA, a hormone that has anti-aging and adrenal-regulating properties. * Restoration of the function of both the adrenal and kidney systems. * Faster hair growth that also improves shine and color, due to para-aminobenzoic acid. * Younger looking skin, a result of collagen and zinc. * Rest and renewal after being overworked or excessively tired. * Relief from asthenia, anxiety, insomnia, asthma, arthritis, gout, skin problems, and even broken bones. * Increased anti-inflammatory and antibiotic capabilities. The use of royal jelly powder has been deemed safe for the majority of individuals; however, people that suffer from allergies or are allergic to royal jelly may suffer from an allergic reaction that could be fatal. Therefore, knowing all allergies before taking the supplement is crucial to achieving success when incorporating royal jelly into a diet. Individuals who choose to add royal jelly powder can expect to experience an overall boost in their health. These many benefits will provide a well-rounded increase in well-being, allowing users to feel more alert and more comfortable. Though it is advertised as a "brain food," and does contain substances that can boost the activity of the brain and nervous system, royal jelly also provides many other highly valuable health benefits that make it an important supplement in the lives of people who are seeking natural remedies. "I Can Heal Wounds with Honey and So Can You"
The Crowne Plaza Hotel in Warwick resembles a decent beehive even on a slack day. It is swarming with conferees and employees moving in and out of chambers consuming sweet food. Some people arrive by air from nearby T.F. Green Airport on low-cost fares. There is a high social organization. Next week, on July 25-29, management will show extreme cooperation in welcoming 20 beehives and 500 beekeepers for the annual meeting of the Eastern Apiculture Society. They will have talks on Colony Collapse Disorder, practical beekeeping including a bee yard, the business of keeping an apiary and treating illness with bee products and stings. On Wednesday they will be regaled by Rhode Island’s own Charlie Hall and the Ocean State Follies, who will sting them all in a show they will not soon forget. If you have even a passing interest in bees, I recommend that you go to the Web site easternapiculture.org and sign up for a day or two. I am going to tell you. Speaking of Egyptian tombs, did you know that urns of honey were found undegraded in several tombs in ancient Egypt? This tells volumes about the amazing chemical nature of honey for wound-healing, to say nothing of the long association of the bees and humans. How does honey help to heal wounds and why is it superior to neosporin, bacitracin and prescription mupirocin (bactroban)? Honey is bee spit but it is also their energy currency and their bank account. Just as “people get funny about their money” so, too, do bees get funny about their honey. They hate bears, bacteria and yeasts that may steal or spoil the honey. For the bears they have stingers, for the micro-organisms they put amazing stuff in the honey. They also seal the hive with an antimicrobial substance called propilis. Honey is a mixture of concentrated sugars that immediately dehydrate a bacterial cell, rendering it immobile, though without necessarily killing it. Young Dr. Keith Monchik, of the Orthopedic Service at Rhode Island Hospital (RIH), went to Haiti with our team from the Ocean State to treat earthquake victims. They ran out of usual wound-care creams quickly but a senior military nurse reminded the team that sugar packs from their rations always work in a pinch to keep a wound from getting infected through the same mechanism. He reported gratifying results to the RIH medical staff. The high osmotic value of honey draws fluids out of wounds. This decreases tissue pressure, thus admitting more new blood, with, of course, oxygen, as well as healing elements and protective immune-system cells. As the fluid hits the honey, small amounts of hydrogen peroxide are produced, very toxic to bacteria but not to fibroblasts and healing elements. Honey derived from medicinally active nectars such as tea tree and eucalyptus may have additional value, and the Food and Drug Administration has allowed their importation and marketing. Topical antibiotic creams and ointments — both over the counter and prescription — are commonly used for skin infections and wound healing. These include neosporin, bacitracin, “triple-antibiotic” ointments and mupirocin. They sterilize the wound but also kill healing elements, leading to delayed wound closure. And they often lead to confusing red hypersensitivity reactions. Additionally, more and more bacteria are growing resistant to antibiotics, which is a terrific threat to all of us. Some are costly. We should avoid these like the plague. My wife, Jane Dennison, M.D., is a pediatrician and beekeeper. As our house experienced colony collapse with drone migration of our four boys to New York City and Washington, my wife had the time to take the Bee Course offered by Rhode Island Beekeepers Association (RIBA) and start some hives. At the monthly RIBA meetings I spoke with the older beekeepers and was fascinated to learn of honey’s medicinal benefits. Some of the older beekeepers suggested that I try using honey mixed with Aquaphor ointment on my patients with minor wounds and ulcers. Honey at body temperature gets runny and dribbles on clothes, leading to poor treatment adherence. Aquaphor was already my favorite healing ointment. It is well-suited to mixing in equal parts with honey because the lanolin and mineral oil holds both aqueous and oily parts together to treat a wound. Mixing large batches with the help of my mother in law, Jane Mackenzie, R.N., is sticky business indeed. She helps me pot it into little cosmetic jars for use in the nursing home. We heat the aquaphor to 110 degrees in the microwave but never put raw honey in the microwave because it would ruin its special qualities. And I urge you all: “Do this at home!.” You can’t buy it already made up. If I were to try to sell this as a medicament, the Food and Drug Administration could have me jailed and impound all my ointment, because adequate studies on the effectiveness and safety of this compound have not been done. However, two imported products, Medihoney and Manuka Honey, have passed FDA approval for wound-healing. They are derived from the eucalyptus and tea tree plant, respectively, whose nectars have supposedly superior qualities. These honeys are irriadiated to inactivate trace amounts of botulinum toxin and bacteria. I believe that raw honey needs no such help and that such help might even be counter-productive. This treatment and the importation increases the cost of treatment, with small tubes going for $50 to $100. I insist on the real thing when treating serious or stubborn wounds but for everyday use the product from your home lab will work very well on your cuts, burns and skin tears. If you have diabetes and/or congestive heart failure peripheral arterial-supply problems, no ointment is going to help. The problem is under the skin. You need a doctor for it. I invite colleagues and hospitals to begin randomized controlled trials on using local raw honey head to head against imported honey and the usual wound-care products. My hypothesis is that we can control, at low cost, such superbugs as methacillin-resistant staphyllococus aureus and vancomycin-resistant enterococcous and the emergence of further resistant superbugs by avoiding the usual antibiotics. Meanwhile, we’d be encouraging the development of new local hives, which are so important to pollination — and thus plant life and the broader eco-system — nationally. You may be interested in using bee stings to treat disease and honey to desensitize yourself to allergies. On July 28 the Apitherapy Association will make a presentation. You can find out information on the schedule and admission at easternapiculture.org. Allen Dennison, M.D., is an assistant beekeeper and internist practicing in Barrington and East Providence.